"Amazing night. Laughed so much, very entertaining"
"Fabulous night for a party of friends"
"Loved it. We were spoiled rotten". "More Laughs than are Legally Permitted"
quoted by a passenger who didn't quite make it to New York. "Pure entertainment from start to finish"
"A must see venue in Melbourne"
"Awesome food, superb decor and atmosphere. Great Show"
"Spectacular. I am speechless it was that good"
"Loved the meal, drinks, amazing night out. Will go again"
"Unforgettable Night! The crew made sure it was a very memorable night"
"Couldn't fault it! Time of your life, however short." "Hilarious. Thought it would be average but it was sensational"
"Exceptional table staff. 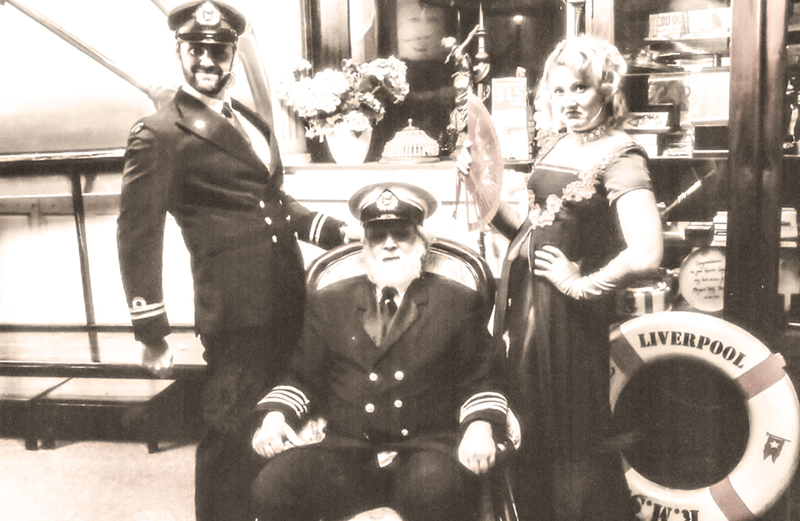 Loved the music and experience"
"The Captain was Bloody Fantastic"
Join us for an explosive night if dining and entertainment aboard one of the most unique experiences in the world. Sailing every Saturday night and every Friday and Saturday in November and December. Seaworthy for all ages so don't leave the Kids behind, you stand a better chance of survival. Birthday's Anniversaries, Hens/Bucks Parties, End of Year Parties or for any excuse you need a fun filled Night to Remember. Can't decide on a date? Need a unique gift for that someone special? A three course set menu perfectly prepared by our culinary crew. We cater for all dietary requirements. Want the Ship to yourself ?